A Soyuz booster rocket launches the Soyuz MS-11 spacecraft from the Baikonur Cosmodrome in Kazakhstan. Credit: NASA/Aubrey Gemignani. Nasa astronaut Anne McClain and her two crewmates have arrived at the International Space Station (ISS) following the successful launch and docking of a Russian Soyuz MS-11 spacecraft. The launch was the first manned expedition conducted by a Soyuz rocket to the ISS since a similar mission in October was aborted in mid-air due to a rocket malfunction. 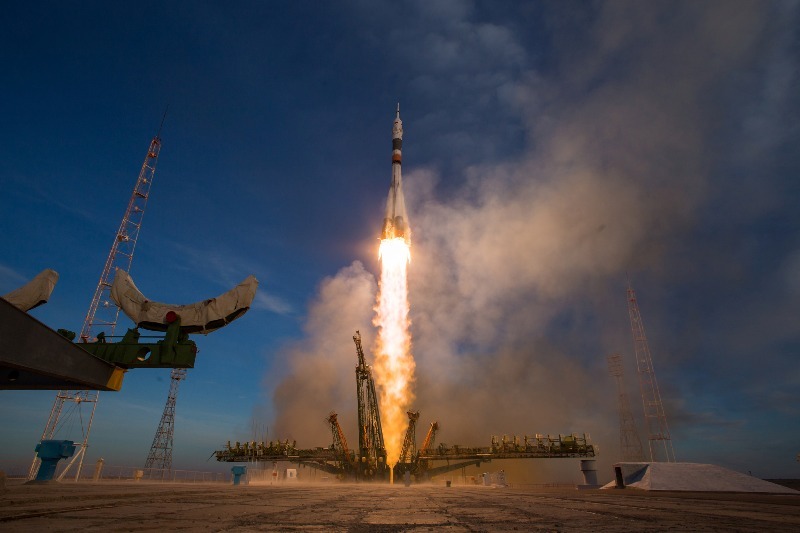 During the latest mission, which was launched from the Baikonur Cosmodrome in Kazakhstan, McClain was accompanied by David Saint-Jacques from Canadian Space Agency and Oleg Konenenko from Roscosmos. The astronauts docked to the ISS’ Poisk module after completing a four-orbit, six-hour journey. Two hours after docking, the hatch between the two spacecraft opened to allow the astronauts to enter the station. In a statement, Nasa said: “The arrival briefly restores the station’s crew complement to six as they join Serena Auñón-Chancellor of Nasa, Expedition 57 Commander Alexander Gerst of European Space Agency (ESA) and Sergey Prokopyev of the Russian space agency Roscosmos. “Auñón-Chancellor, Gerst and Prokopyev are scheduled to remain aboard the station until 20 December. As part of their six-month stay at the ISS, McClain, Saint-Jacques and Konenenko will conduct hundreds of scientific investigations in the areas of biology, Earth science, human research, physical sciences and technology development. The researches are expected to provide continuous support to human spaceflight beyond low-Earth orbit to the Moon and Mars. US National Laboratory has sponsored several of the researches to be undertaken by the three astronauts. In a separate development, Nasa announced that astronaut Nick Hague, who was part of the recently failed mission to the ISS, is scheduled to be relaunched in February 2019 from the Baikonur Cosmodrome.